By Jeannette Cruz GCU News Bureau Dr. Beverly Hurley, academic alliances director for Grand Canyon University’s Strategic Educational Alliances, has been named vice chair of The Education Coalition (TEC) of Arizona, which is dedicated to raising student achievement across the state. TEC has worked on various legislative and state board issues since it was founded in 1990. Through TEC, organizations and leaders meet and discuss current issues and programs and hear outside speakers on education-related topics. Hurley said she was proud to be asked to serve as coalition vice chair. “The education coalition provides advocacy for improving learning for all students through the combined expertise and leadership of diverse representatives from around the state,” Hurley said. “It is a privilege to provide leadership in support of the vision and the mission of this most important organization.” Hurley has spent 40 years in education and has served as a teacher, counselor, athletic director, assistant principal, principal and superintendent. She currently also serves on the WestEd Board of Directors and on numerous state and national education committees. Contact Jeannette Cruz at (602) 639-6631 or jeannette.cruz@gcu.edu. This week’s edition of Antelope Intros features a recent GCU graduate who loved GCU so much he decided to stick around — this time as an enrollment counselor. He loves to stay cool and could never go wrong with rock climbing, as long as it is in an indoor gym. 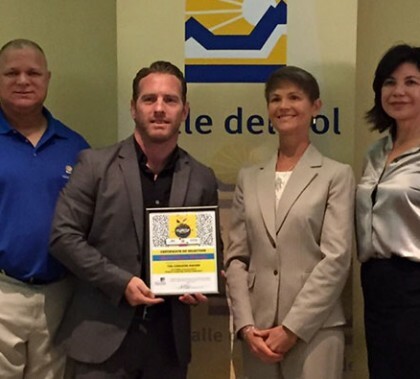 Grand Canyon University was honored Thursday with the Corazón Award at Valle Del Sol’s “Totally Awesome Leadership 2016” event at Phoenix College. One of 10 honorees, GCU was given the award for its outstanding revitalization work in the west Valley. As the “heart and soul” of the community, according to the nomination, GCU has added thousands of jobs, improved safety and home values and provided invaluable tutoring and mentoring that has elevated students at Alhambra High School. 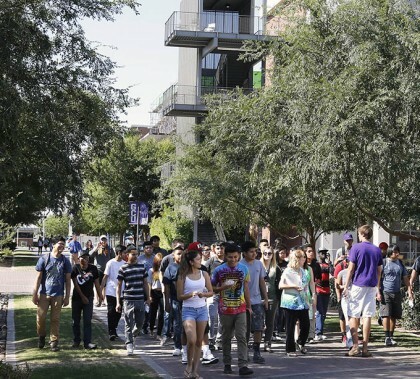 “Believe and Achieve,” now in its fourth year, welcomed more than 1,000 Alhambra High School students to GCU on Wednesday for a campus tour and to hear from university representatives and a speaker who brought laughter, tears and even led some students to ask for forgiveness. GCU has taken a starring role in Arizona’s Chief Science Officer program, an initiative so successful it has attracted the interest of Washington D.C. and Arizona lawmakers and White House officials. 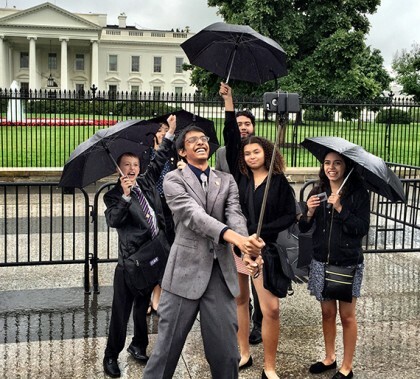 CSOs are elected by their classmates to play to a role that’s like the ambassador of STEM. They work with parents, school officials, lawmakers and industry members to bring a high level of science, technology, engineering and math programs to their school. 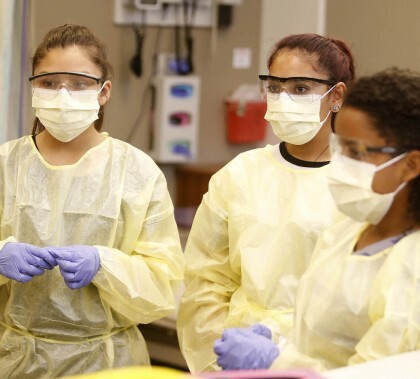 It’s not every day that eighth- and ninth- graders can take vital signs of a “patient” in a simulation lab, but that’s what students attending Osborn Middle School’s career camp got to do Tuesday at GCU’s College of Nursing and Health Care Professions. The teens got a hands-on lesson in what it’s like to be a nurse as they evaluated both “Sim Man” and his younger, female counterpart. The lesson many took away was that not only is health care a great career, but that GCU’s high-tech, cutting edge program is highly appealing. Photos by Darryl Webb GCU News Bureau A group of about 30 Osborn Middle School students and rising ninth graders got a tour of the cutting-edge facilities in GCU’s College of Nursing and Health Care Professions, Tuesday. Not only were most impressed with the event, but after the visit, which included hands-on nursing in the simulation lab, many of the excited students said the trip had convinced them that they want to pursue a career in health care and that GCU might be the best way to get them there. 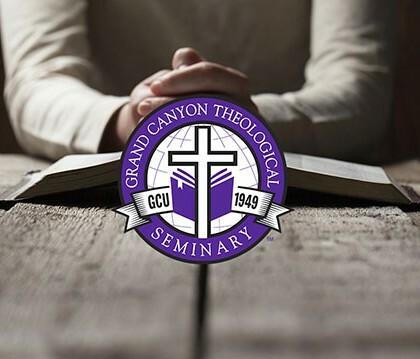 GCU is making another major academic advancement with the unveiling of Grand Canyon Theological Seminary, which is accepting students and will begin classes this fall. The Seminary will teach the same doctrinal principles and Biblical truths as the rest of the University and also will be interdenominational. Unlike many seminaries, it will offer students a rich campus experience and opportunities to serve in the community.